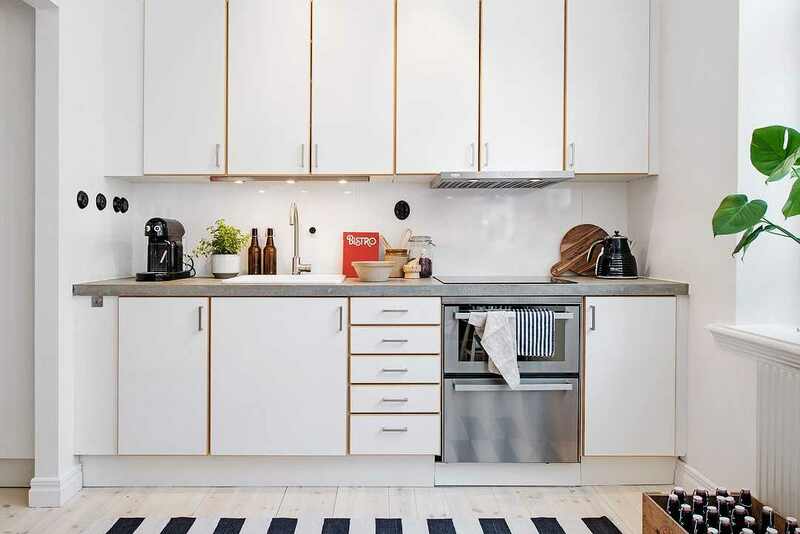 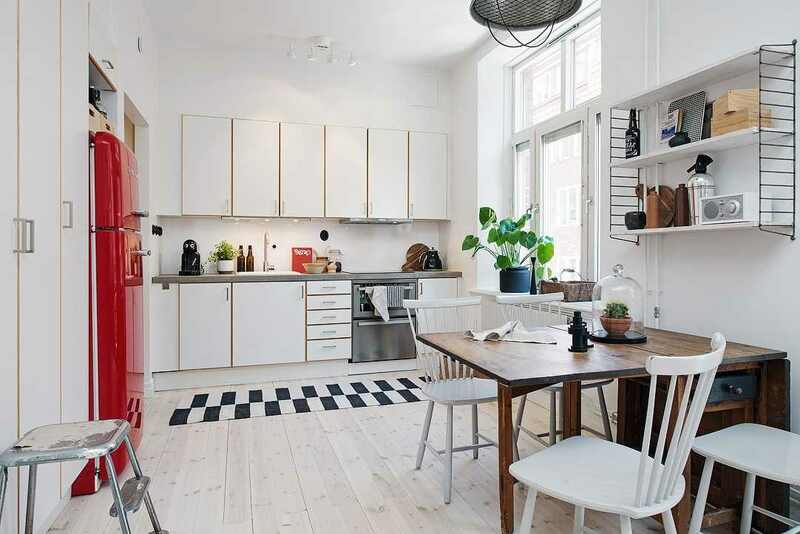 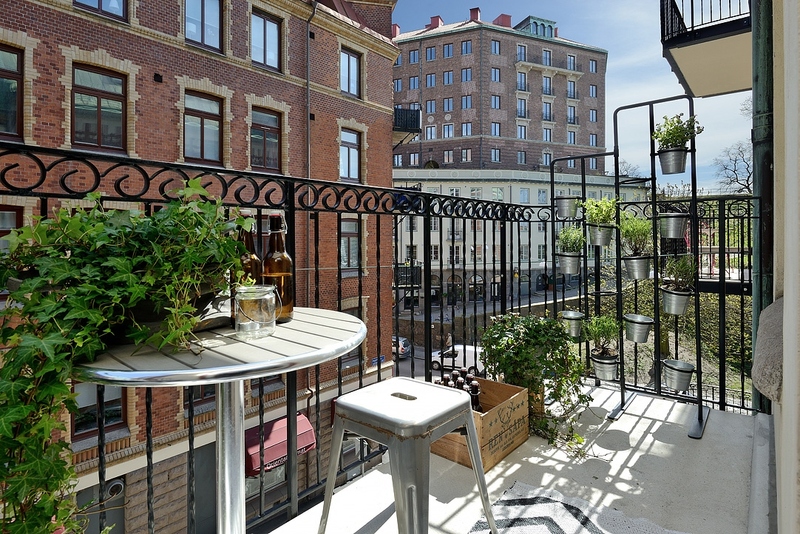 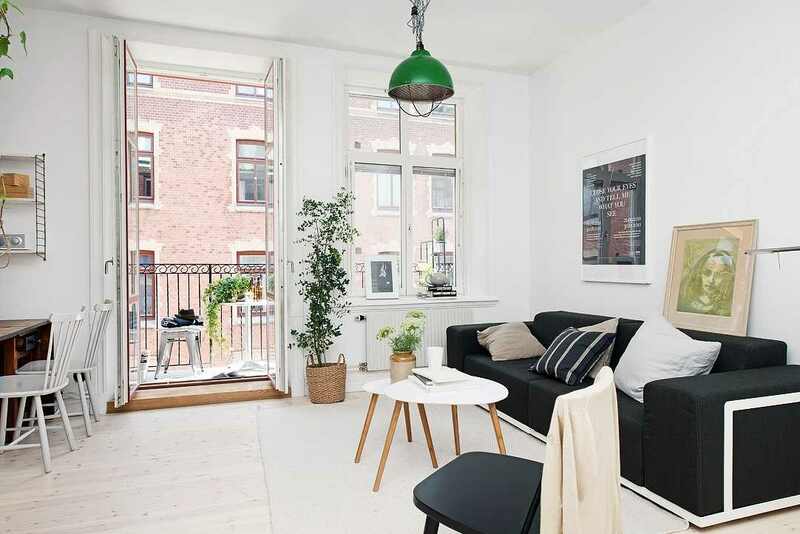 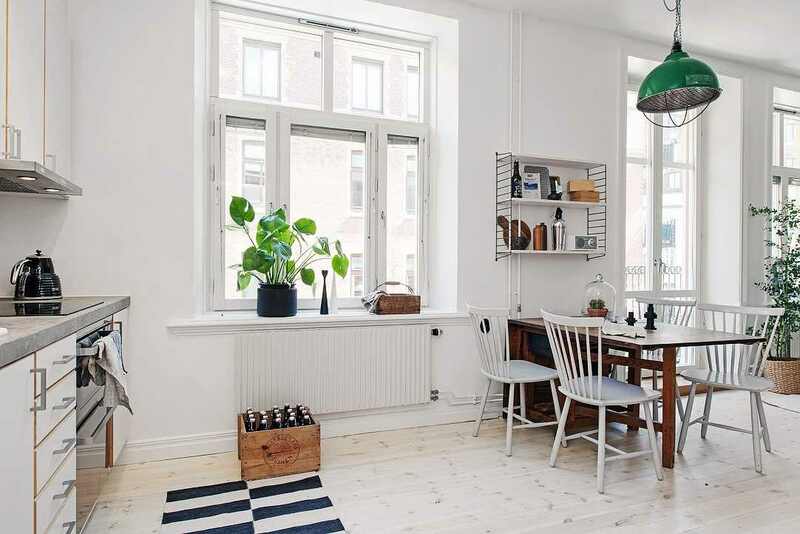 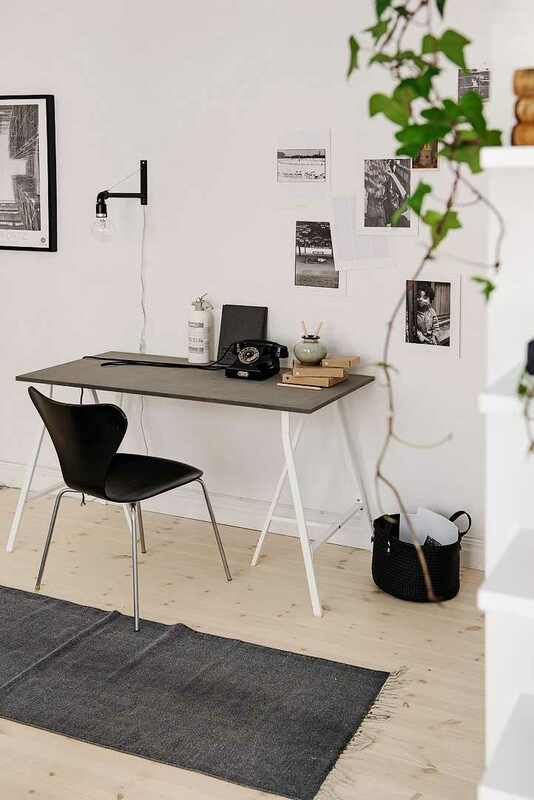 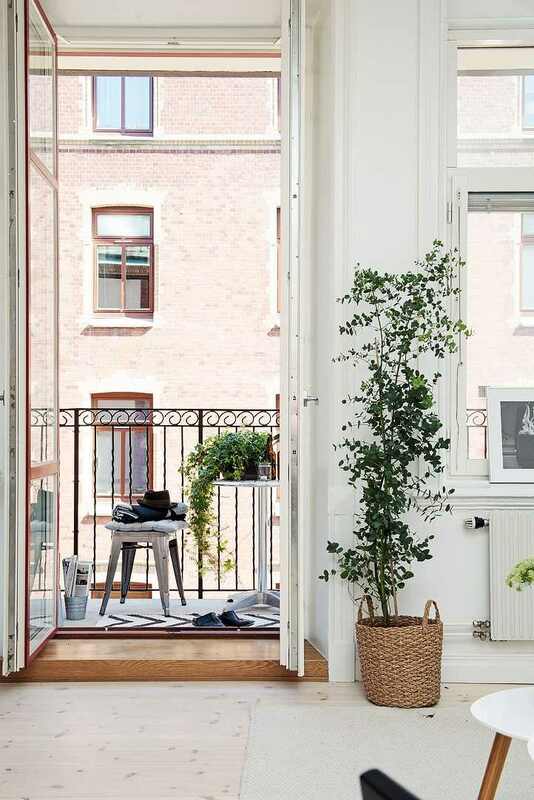 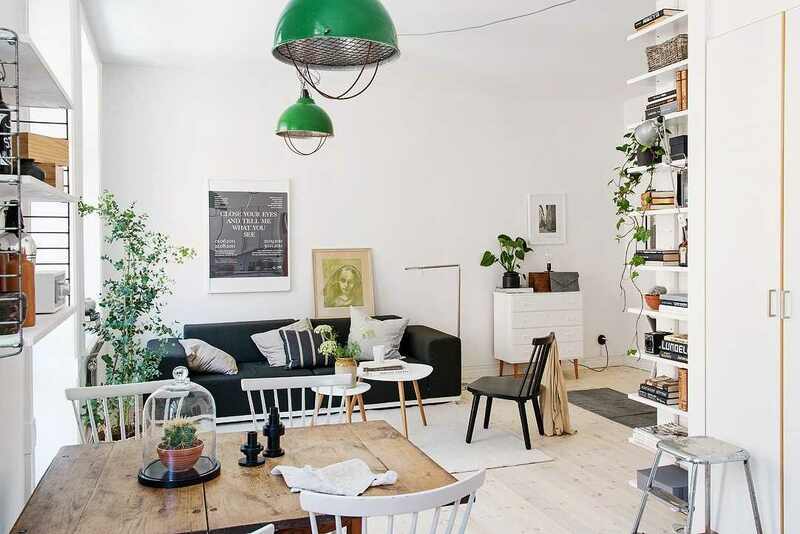 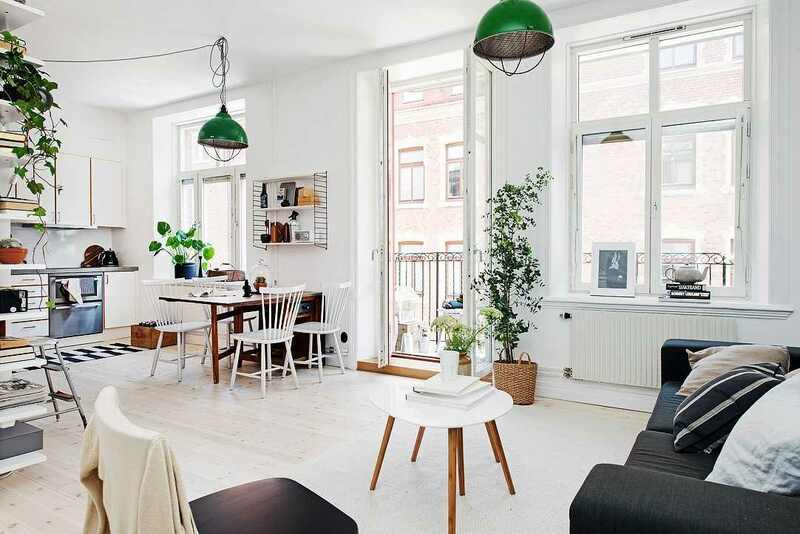 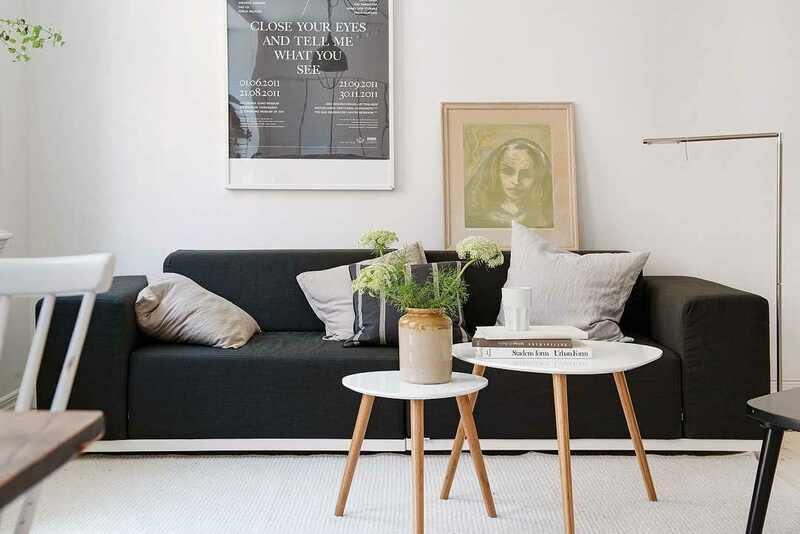 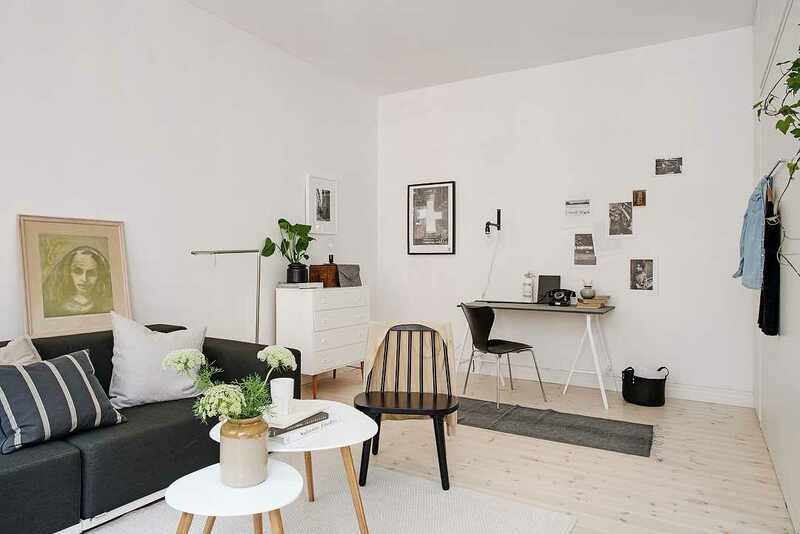 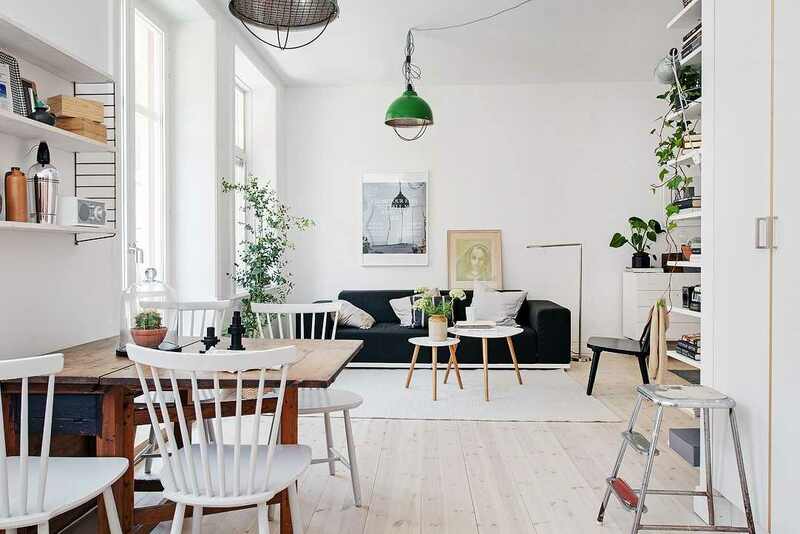 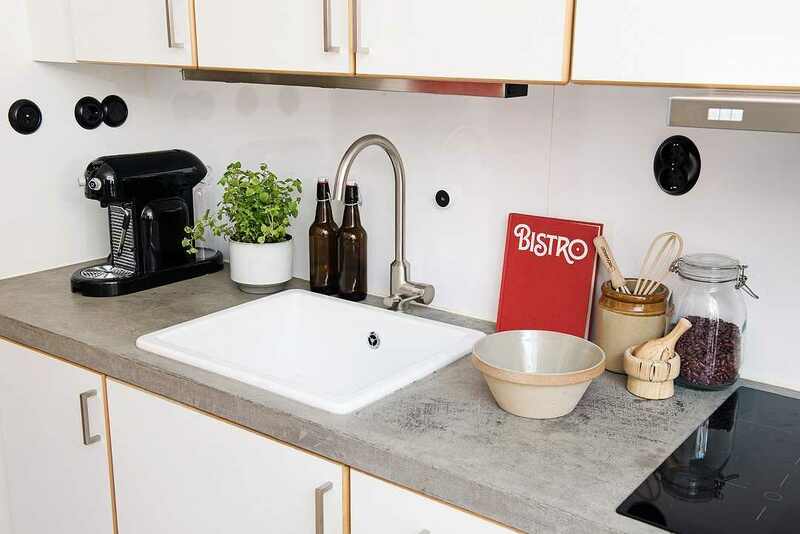 This beautiful, minimal 40 square-meter apartment is located in Kungshöjd area, Gothenburg. 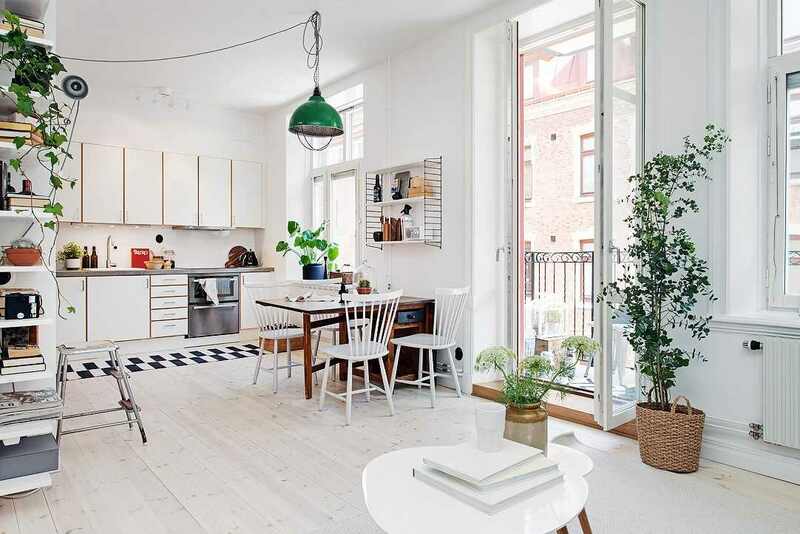 Inside, you are greeted by bright and spacious, the open-plan living, kitchen and dining area makes a powerful first impression. 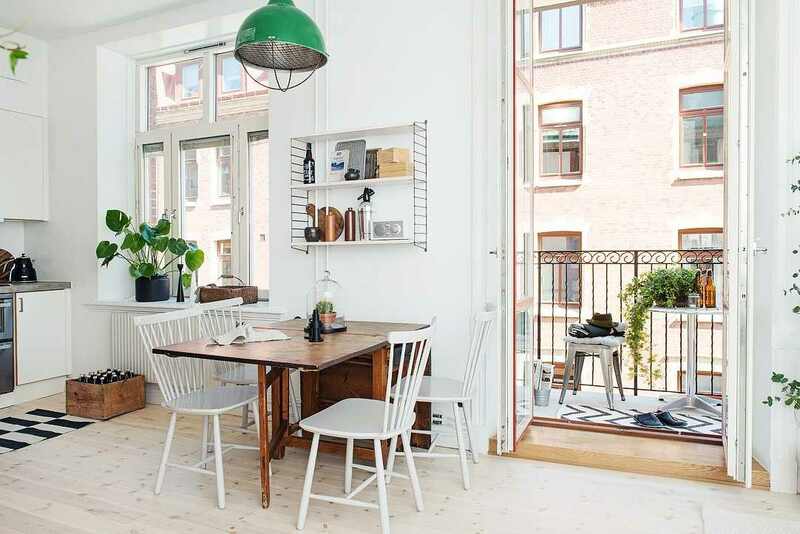 It also features a dining area for eight guests, a large sofa, a lovely balcony with terrace and a sleeping area, the layout of this small apartment is inspiring to say the least. 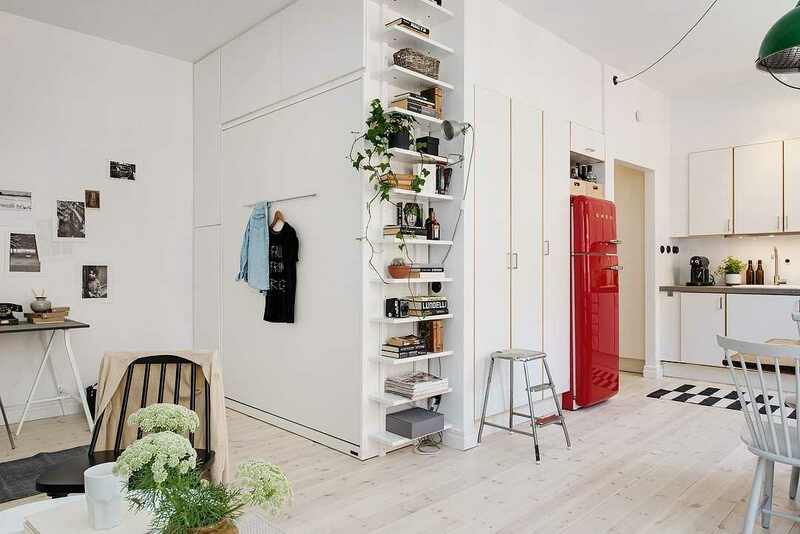 The discreet vintage kitchen with red fridge and white cabinets perfectly complements the adjacent furniture, white walls and wooden flooring. 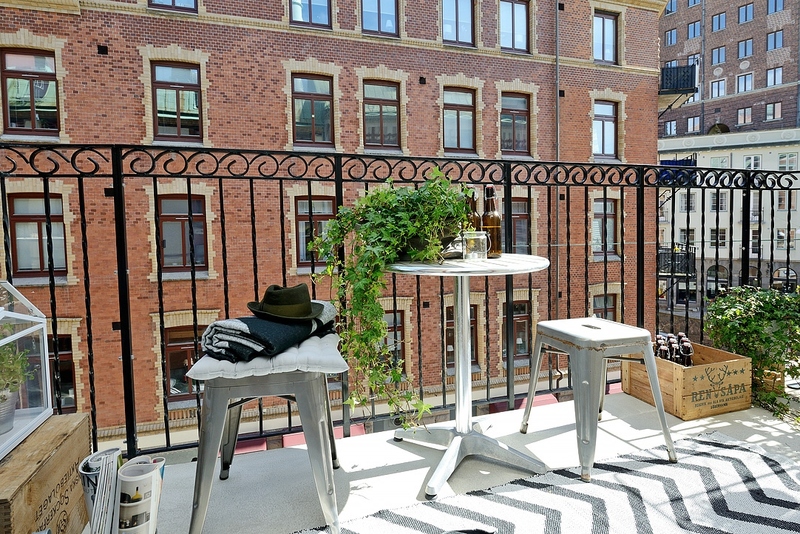 The balcony is surrounded by an elegant balustrade of wrought iron and there is space for both dining chairs, tables and sun loungers.